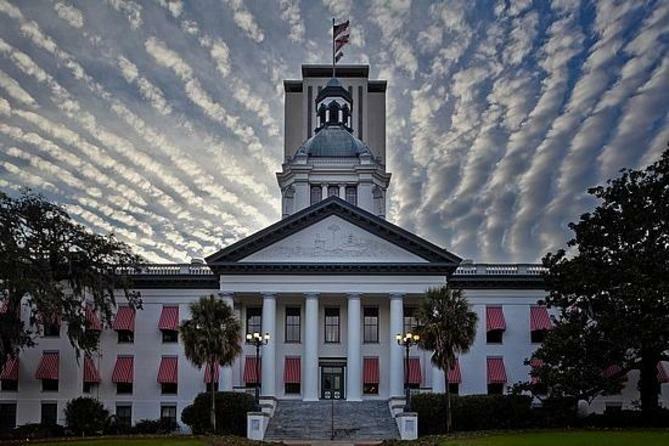 Florida's new Capitol building has a rich ancestry, which began in 1824 with the establishment of Tallahassee as the new capital city. As Florida grows, so has the need for improvement to local facilities and infrastructure to handle new challenges while also enhancing some of our already-beautiful green areas. This site will provide visitor and historic information about Florida’s State Capitol as well as information and updates on the Capitol Complex Improvement Project (CCIP). The Capitol Complex, located in downtown Tallahassee, provides a dignified and serviceable headquarters for state government. 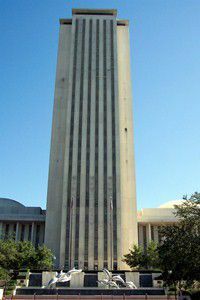 The Capitol, the twenty-two story building, is home to Florida's Executive and Legislative branches. Other buildings at the Capitol Complex include the Historic Capitol and Knott Building as well as two five-story office buildings for the House of Representatives and Senate. The Capitol is located at the intersection of Apalachee Parkway and Monroe Street and is open to the public Monday through Friday from 8:00 a.m. to 5:00 p.m. It is closed on weekends and holidays. 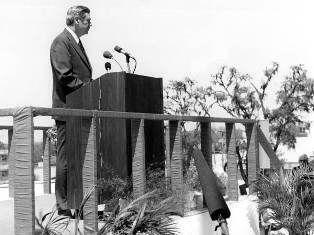 "We dedicate it, not only here today, but every day as we work for the people who really own it. For those of us who work here are only tenants. We do not own the building. So I think we should dedicate this building to the owners." For more information about the construction projects, we encourage you to visit the CCIP section of the site.